Hyperthyroidism is a disease of the thyroid glands. There are two thyroid glands, located midway up the neck on either side of the windpipe (trachea). In the normal cat they are too small to feel. When one or both glands become overactive, too much thyroid hormone is released into the circulation, and the cat develops one or more of the symptoms of hyperthyroidism. Hyperthyroidism is a disease of the old cat. More than 95% of cases are in excess of 10 years old, and generally much older than that, with an average age at diagnosis of 12-13 years old. Note 1: Heart Disease – Can include increased heart rate, abnormalities of rhythm, high blood pressure, congestive failure (fluid build-up in the lungs, abdomen, or legs). Note 2: Eye Abnormalities – Various problems occur, mainly due to increased blood pressure. Common ones are detached retina and bleeding into the eyeball. Note 3: Goitre is enlargement of the thyroid gland, which can be appreciated by carefully running fingers along the neck, either side of the trachea. Some of these symptoms occur more frequently than others. The “typical” case is an old, thin cat which has a good appetite and drinks excessively. Most also have a much increased heart rate, and practically all have a goitre. You will see from the list above that both hyperactivity and lethargy are symptoms of hyperthyroidism. Hyperactivity is by far the more common of the two. In the vast majority of cases, the disease is caused by a benign tumour forming in one or both glands. The incidence of the disease has increased dramatically since the late 1980s, but it is not known if this is due to an increased awareness of the condition within the veterinary profession, or if it is due to a genuine increase in the number of cats with the disease. What is more puzzling is why the same tumour would appear in both glands almost simultaneously. In a very small proportion of cases, the disease is due to a malignant tumour (cancer) within the thyroid gland called a thyroid carcinoma. Removal of the thyroid glands. There are two types of medication used to treat hyperthyroidism. One acts directly on the thyroid gland to prevent thyroid hormone production. The other reduces the severity of the symptoms which arise as a consequence of the high level of thyroid hormones. Note 1: Agranulocytosis – Granulocytes are a type of white blood cell important in immunity. Agranulocytosis means a lack of these cells. These side-effects are usually seen in the first 3 months of therapy. In the case of bleeding, jaundice or agranulocytosis, methimazole therapy should be withdrawn immediately. When used for longer periods, these side-effects are much more likely to occur. Carbimazole’s effect on the thyroid gland is due entirely to it being metabolised (changed) by the liver into methimazole. NeoMercazole® tablets are larger than Felimazole®, and need to be given more frequently (three times rather than twice daily). Despite this it is preferable to methimazole because long term use is much less likely to cause side-effects, and the more serious side-effects that methimazole produces, such as agranulocytosis do not occur. The legal situation though is that we must use a licensed medicine where one is available for any given disease, at least in the first instance. At Vetrica we use Felimazole® for short term use, where the small tablet size and less frequent dosing are useful. Where cats require long-term (lifelong) medical treatment for hyperthyroidism, we change to NeoMercazole®. When using any form of long term medical management of hyperthyroidism, it is important to blood test the cat regularly to check the level of thyroid hormones, and adjust the dose of drug accordingly. Atenolol has the advantage over propranolol in that it is available as a syrup, and only needs to be given once a day, whereas propranolol is tablets, and has to be administered three times daily. Side-effects of both drugs include diarrhoea and lethargy. However, these are potent drugs with very significant effects on the heart and circulation. Cats can collapse (and die), as a result of a rapid fall in heart rate and blood pressure. Diabetic cats, may require less insulin while receiving treatment with these drugs. Surgical removal of the thyroid glands is a quick, relatively straightforward procedure. The major drawback is that the cat requires a general anaesthetic. Hyperthyroid cats are always old, and very sick, often with significant heart and renal disease. Consequently, the anaesthetic risk is considerably higher than with a young, healthy cat. For this reason, all hyperthyroid cats should be treated medically first to improve their anaesthetic risk status, before proceeding to surgical removal of the gland. The best way to do this for most cats is to give a two week course of methimazole, with or without a β-blocker if there are significant heart problems. Some hyperthyroid cats will simply not tolerate being medicated at home (they are often very, very hyperactive). In this case we may need to admit the cat, and administer a β-blocker for a day or two before performing surgery. Anaesthetic risk is also reduced by choosing the Vetrica Advanced Anaesthetic, which is strongly advised for most thyroid gland removals. Persistence of hyperthyroidism There are two main ways in which removing the thyroid gland can fail to control hyperthyroidism. Firstly, it is possible to leave small amounts of diseased thyroid tissue behind. Secondly, there are two thyroid glands, and if both are diseased, and only one is removed, then hyperthyroidism will persist. Kidney failure is one of the commonest diseases of old cats, and is frequently discovered during the investigation of hyperthyroid cats, (both diseases cause an increase in thirst). However, hyperthyroidism, through its effects on the heart, causes an increased blood flow to the kidney. While this hastens the course of kidney failure, it results in a reduction of levels of waste products that build up in the blood when the kidneys are failing. So, when we blood test to check kidney function, the result can appear normal when in fact the kidneys are failing. i.e. 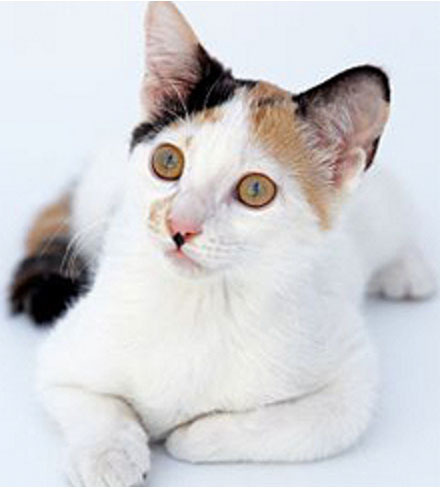 hyperthyroidism has masked the kidney failure. When the diseased thyroid gland is removed, blood flow to the kidneys falls as the cat returns to “normal”, but because the kidneys are failing, increased thirst persists, and on blood sampling the kidneys are obviously diseased. It would be wrong to assume that the kidney failure is due to the anaesthetic. While this can happen, the incidence of kidney failure after surgery is no higher than when using a different therapy. Hypocalcaemia (too little calcium in the blood) is a serious potential complication with thyroid removal. Calcium levels in the blood are regulated by the action of a hormone produced by the parathyroid glands. There are two of these, and they are located at the tip of the thyroid glands, closely associated with them. This means that the surgeon has to go and look for them during the surgery to remove the thyroid gland, and leave the parathyroid in place. Technically, this is the hardest and most time consuming part of the operation. The parathyroids are frequently engulfed by tumourous thyroid tissue, and extremely difficult to find. If the cat is very old, or sick and the surgeon is trying to make the anaesthetic last for as short a time as possible, the temptation is to remove both the thyroid and parathyroid glands in one. Because there are two parathyroid glands, there will be no consequences for the cat if only one side is removed. However, if both sides are removed (and this may be done during the same procedure, or during a second procedure possibly years later), then hypocalcaemia will result, and this can take up to 5 days after the operation. For this reason, cats which have both thyroid glands removed are kept hospitalised for several days after surgery to check for the symptoms of hypocalcaemia. This is a very serious complication; if your cat displays these symptoms (especially muscle twitching or convulsions), after thyroid gland removal, bring her to the surgery without delay. Hypothyroidism – Hypothyroidism is a lack of thyroid hormones. If both thyroid glands are removed, then theoretically at least, there should be no thyroid hormones produced at all. Common sense tells us that the cat will require thyroid hormone supplements as a result. While hypothyroidism can occur, this is not usually the case. In most cats, the thyroid hormone levels fall to very low levels after surgery, but (at least in some cats), after several weeks or months, it returns to normal. The reason for this is thought to be due to the presence of accessory thyroid tissue. In the foetus, the thyroid glands develop near the heart, and migrate up the neck. During this migration, a few cells are left behind along the path. While these cells are generally inactive in the normal cat, when the thyroid hormone levels are so low, this accessory thyroid tissue becomes active and starts to produce thyroid hormone. Only if the cat develops symptoms of hypothyroidism do we give thyroid hormones. These are lethargy, obesity, hair loss, and loss of appetite. Note 1: Horner’s Syndrome is a problem with the nerve supply to the eye. The upper eyelid droops, the 3rd eyelid protrudes in front of the eye, and the pupil opens wider than normal. With the exception of haemorrhage, these complications arise due to damage to the nerves which run up the neck, and supply the larynx and eye, and are very rare. Where both thyroid glands are enlarged we remove them both during the same operation. However, if only one gland is enlarged, we prefer to remove only the enlarged gland, and leave the other, normal gland. Hypocalcaemia is not a risk if only one gland is removed. However, you should be aware that it is common to remove one gland, the cat to return to normal, and then develop hyperthyroidism due to disease in the remaining gland some time later, typically after 12-24 months. This is not a major operation – most cats recover very quickly regardless of age. Practically every cat that has its thyroid gland removed is very old; this is a very common operation, and serious complications are rare. Removing the thyroid glands is a very successful procedure. Long term medication, the alternative for most people is not. Regular blood tests are required, and the level of control is less satisfactory usually because people are just unable to administer the medication regularly enough for the time periods involved. Iodine is actively concentrated within the thyroid gland. If the iodine is radioactive, the radiation that is produced kills the surrounding cells. Fortunately, the particles that are produced by the radioactive iodine do not travel very far, (less than 2mm). The result is that the diseased thyroid tissue is destroyed, whereas the normal thyroid tissue is not, because it is inactive and not absorbing iodine. This is a specialist procedure because of the precautions that are required when handling the radioactive material. In addition, the cat needs to be hospitalised for about 8 weeks while the radioactivity subsides within the cat. Consequently it is expensive. In our area, the nearest centre for this procedure is at the University of Glasgow, and waiting times are high. It is not possible to give methimazole prior to the procedure because it reduces the effectiveness of the treatment. A β-blocker can be given, and this is often sufficient to control the symptoms while awaiting an appointment. In addition, it can take up to 6 months for the cat’s thyroid hormone levels to return to normal. Treatment failure is rare, and when it does occur, a re-treatment usually suffices. Hypothyroidism is not usually a complication of this treatment, because the normal thyroid tissue within the gland is spared exposure to the radiation. Hyperthyroidism is a common disease of old cats, that is very rewarding to treat. Most cats return to normal and live full lives after treatment. In most cases, even very old cats, 2 weeks on Felimazole®, followed by thyroid gland removal results in rapid recovery, as long as there are no serious permanent heart or kidney complications.